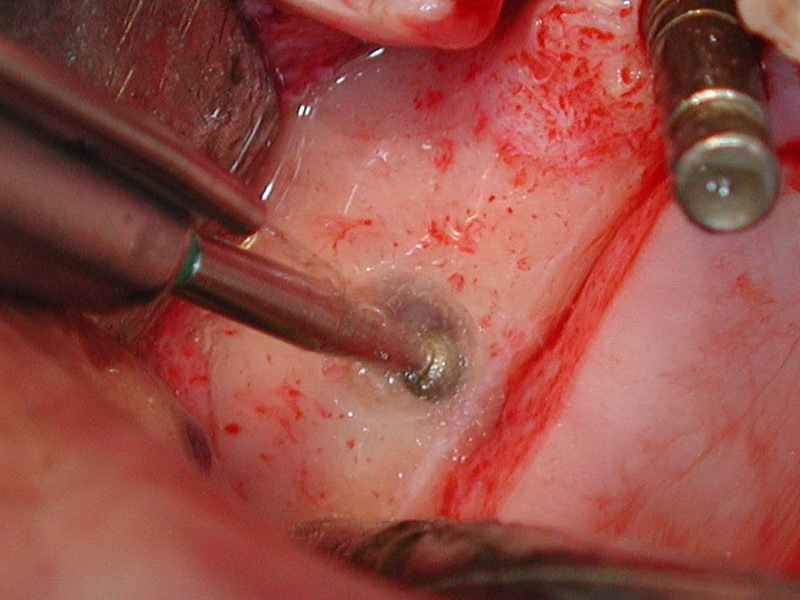 At an estimated subantral bone height of less than 3 mm the osseous opening is made without an implant drill, just like opening with the lateral fenestration technique. 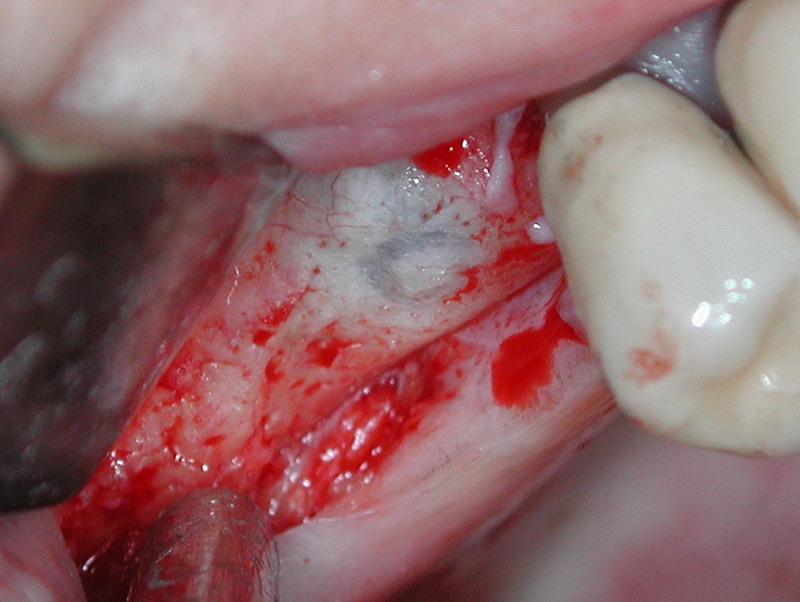 Osseous opening with the diamond drill. 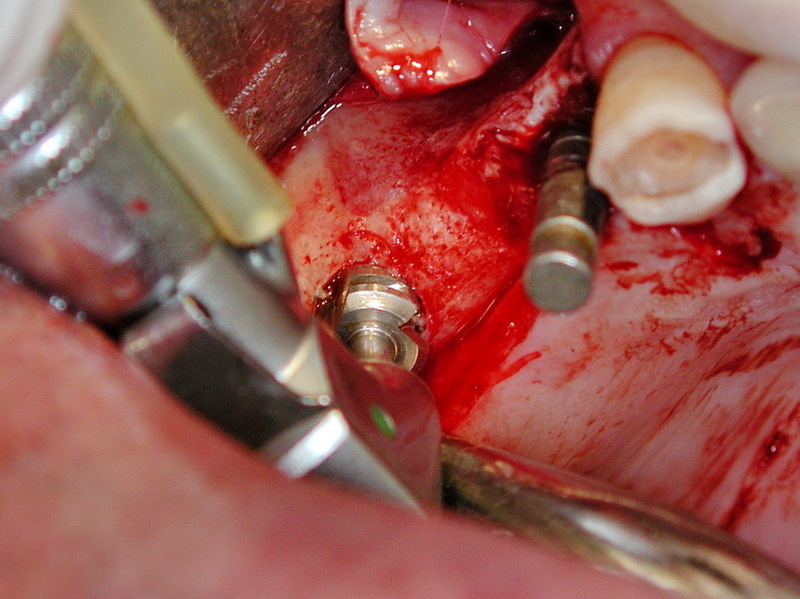 This can, of course, be done with piezo surgery. 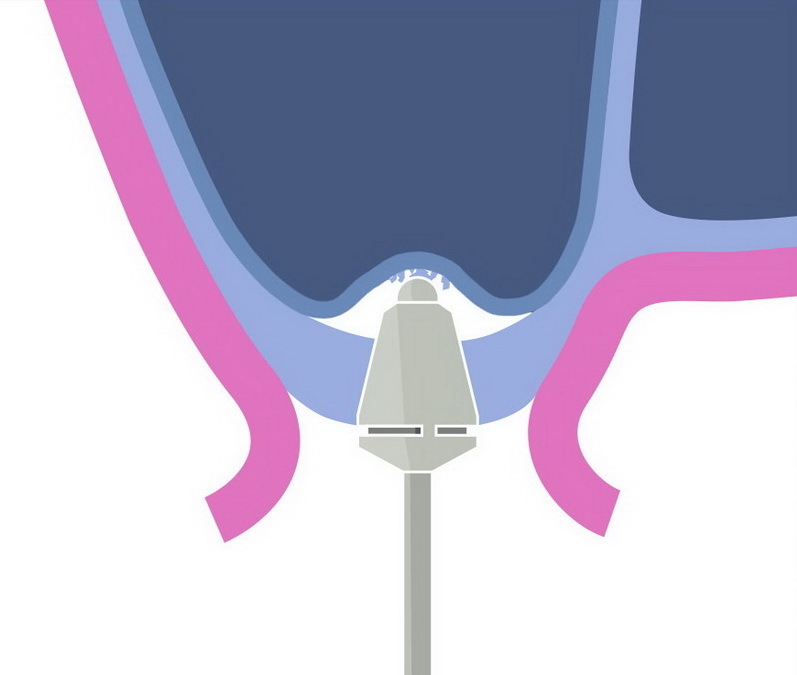 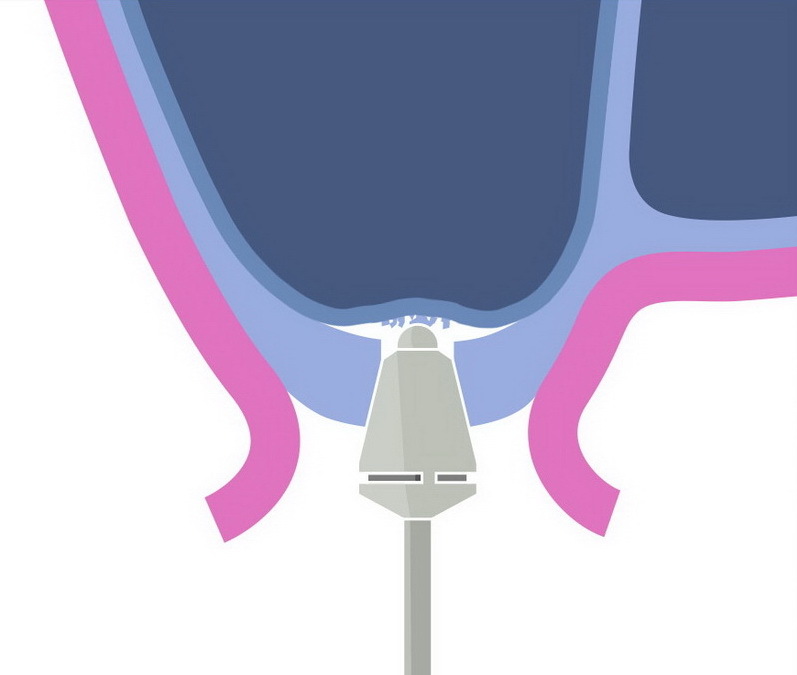 After a circular sinus mucosa attachment the access is widened with the profile drill. 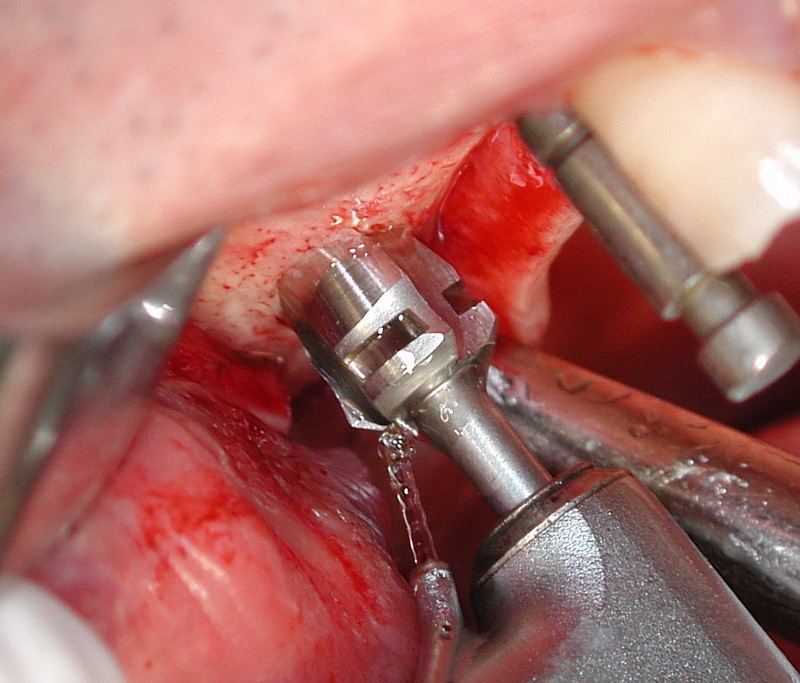 After the sinus mucosa elevation of about 5 mm, the profile drilling is done for the definitive implant position.